As your patients start a new therapy, reimbursement may be a concern. To help them get over this potential hurdle, Valeritas proudly provides expert, personalized insurance guidance and a variety of resources for your patients. V-Go® is covered by law as a Part D benefit. *Section 1860D-2(e) of the Social Security Act. 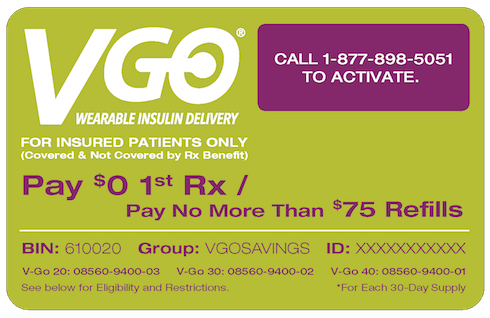 With the V-Go Cost Savings Card, commercially insured patients pay $0 for their first prescription at any retail pharmacy.† Refills cost $75 or less depending on their insurance benefit. Here’s what your patients need to do to start saving. Simply download and print the card (cards have no expiration date§). Activate it by calling the toll-free number on the card. Present the card to their pharmacist for savings. §30-day public notice of cancellation. 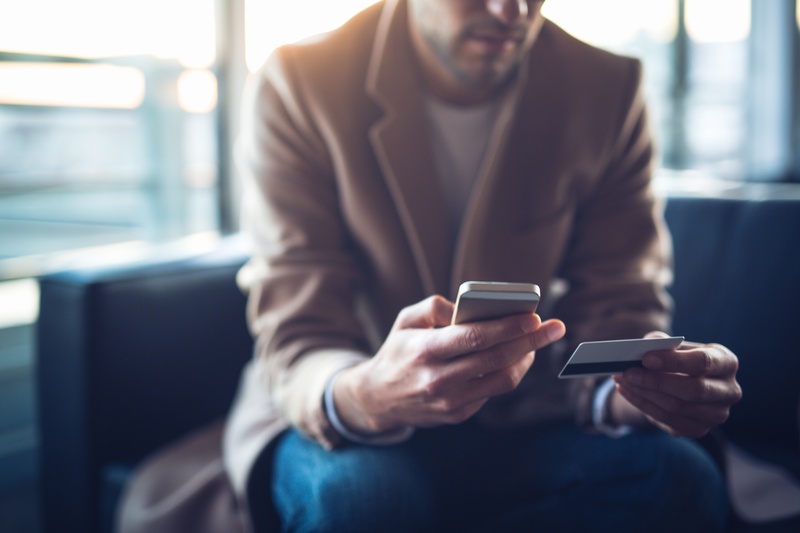 This card is NOT valid for prescriptions that may be reimbursed under a federal or state healthcare program, including Medicare, Medicaid, or any other similar federal or state healthcare program, including any state pharmacy assistance program. This card is only valid for insured patients. The terms of the previously available V-Go Co-pay Reduction Card, which was effective November 1, 2015 will no longer apply starting September 1, 2018. Under the V-Go Co-pay Program, commercially-insured patients pay $0 for their first prescription and $75 or less, depending on insurance benefit. See details above. If you have any questions, please contact V-Go Customer Care at 1-866-881-1209. Cost savings realized by the plan can be passed down to patients in the form of lower premiums and lower co-pays. *Average cost inclusive of V-Go and pen needles for patients administering supplemental insulin. †Data are means and rounded to the dollar. ‡Average monthly costs are normalized to 30 days and based on calculated costs for basal and/or prandial units/day based on average market leaders unit pricing. MDI pen needles and/or syringes (4 per day) based on market leader average unit pricing. Concomitant antihyperglycemic non-insulin agents not included. 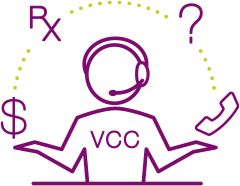 Reach out to V-Go Customer Care today at 1-866-881-1209 to speak to a V-Go Partner about any questions regarding the V-Go Cost Savings Card.